Rock band MUCC announced on May 21st that they will be switching record labels from DANGER CRUE RECORDS to Sony Music Associated Records. The announcement was made during MUCC's concert in the�Nippon Budokan, the last stop for their live tour, "TOUR 'Chemical Parade'". The news immediately caused the audience to go into a frenzy. In addition, the band also revealed that a live DVD will be released for "TOUR 'Chemical Parade'" and that on June 9th (a.k.a. 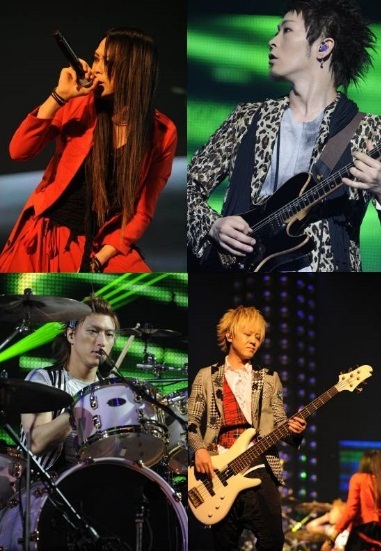 "MUCC day"*), they will hold a livetitled "Maniac Parade 97~11" in Tokyo's STUDIO COAST. Both the live tour DVD and MUCC's 1st single with Sony will be released in the fall. The June 9th live tickets go on sale starting May 29th. The announcements caused the audience to go into a frenzy. Tamurapan tries dancing for the first time in her PV for "Shinpai"